There may be somebody who will dismiss all our expositions as biased or one-sided in an effort to mislead the masses and hide the truth. To combat that, I have included in this book the views of their very own Molwis (living in one house under one roof). This is a fact that no one can be more fully informed of the realities of an individual or group than those who are within. Outsiders may not be fully aware of the realities because of the false garb of piety that is flung over, hiding the true character which cannot be seen from the outside but only from inside where every avenue of life is transparent. That is why to know the realities and truth about anybody; domestic views are most reliable and trustworthy. Here there is no question of biased views or party politics or even religious intolerance. Whatever is stated here is absolutely factual and a clear revelation of truth. It is a well-guarded secret that has suddenly been revealed and has surfaced by accident. Whatever is revealed by the Tableeghi Jamaat members about the devious pattern that is applied and also the attack on Tableeghi Jamaat by the Ulema of Deoband is, in reality, a punishment inflicted by nature and it had to come sooner or later. It is food for thought for those who had gone overboard, at the artificial piety displayed and had refused to listen to any reason. On the 26th February 1968 a conference was held in Madressa Husseinyah in the city of Muzaffar Nagar, (U.P.) India. Many notable Ulema of the Deobandi School of Thought attended the conference, delivered lectures and read papers. Almost every speaker openly criticised Tableeghi Jamaat. Molwi Abdur Rahim Shah, a graduate of Deoband delivered such a dynamic and comprehensive lecture that it has been fully accepted in the Deobandi circle. In fact, it has been printed in a book form by ‘Aljamia Press, Delhi’ under the title "Usoolé Dawatô Tableeg". The compiler of this book is Molwi Noor Mohamed Chandini (A Molwi of Deoband) and is the trusted companion of Molwi Abdus Subhaan Mewati who was the leader of Tableeghi Jamaat in Meiwat. A monthly magazine "Darul Uloom" is issued from Darul Uloom Deoband. They have a section under the heading "Review on Books". In September 1968 in a page of "Darul Uloom" he writes: "We have received a book called ‘Usoole Dawatô Tableeg’ for our comments. 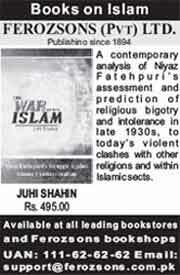 The author of the book is Molwi Abdur Rahim Shah Sahib of Delhi. A large selection of this book is devoted to the argument that the Ulema retain the right of guidance and leadership of the Ummah by virtue of the fact that they are thoroughly informed of the teachings of Quran and Sunnah. After this, the internal practical patterns of Tableeghi Jamaat have been brought to the notice of the masses. We have withheld our comments and views on this book because we wish to draw the attention of responsible leaders of Tableeghi Jamaat to the contents of this book and have asked them to either accept all the accusations or to refute them." Do not forget that this statement is made by ardent supporters of the movement. During the course of his lecture, Moulana Abdur Rahim Shah emphasised that the Ulema are the guardians and expounders of the Quran. "How idiotic are those who under-estimate the Ulema and be-little Islam." He further threw ample light on the misleading effect being created by these dangerous and artificial exponents of Islam. Remember that Molwi Abdur Rahim Shah of Deoband was not the only Aalim to criticise the ulterior motives of the Jamaat. His views were shared by the other leading Ulema of the Deobandi School of Thought. Molwi Noor Mohammad Chandini goes on to say: "I saw that Moulana had made a great impression on the audience. Subsequent speakers also elaborated and supported the views of Moulana Shah Abdul Rahim. The audience was so impressed that no one walked out." A) Moulana Fakrul Hasan of Darul Uloom Deoband. B) Moulana Abdul Ahad Sahib of Darul Uloom Deoband. C) Moulana Irshaad Ahmad of Darul Uloom Deoband. 1. Moulana Abdul Ahad Sahib Mohaddis Darul Uloom Deoband. 2. Moulana Fakhrul Hasan Sahib of Darul Uloom Deoband. 3. Moulana Irshad Ahmad Sahib Muballig of Darul Uloom Deoband. 4. Moulana Anwar Shah Kashmeeri Sahib of Darul Uloom Deoband. 5. Moulana Abdul Kalam Sahib Muballig of Darul Uloom Deoband. 6. Moulana Mohammad Yacoob Sahib Mazahire Uloom Saharanpur. Beside these Ulema, the stage was packed with local and surrounding Ulema, and students of Deoband. The general feeling was as if Moulana (Shah Abdul Rahim) was the voice of all those present." (Usoolé Dawatô Tableeg, pp/54). Readers are invited to observe the following hypocritical role played by Molwi Irshaad Ahmad Sahib, the very spokesman and representative of Darul Uloom Deoband, who had advocated to defend the Tableeghi Jamaat in an open debate (with the Sunni Muslims) which took place in Baraar, situated in the district of Muneer. He had suffered such a humiliating defeat in this debate that I doubt he will ever forget it in his entire life. In spite of repeated request from the Sunni speaker to repent, he remained adamant and thousands of witnesses were convinced that he will not return to the truth. And indeed he did not! This happened in the debate that took place in Muneer. Now observe the behaviour of the very Molwi Irshaad Ahmad in another function that took place in Muzaffar-Nagar. Here, he openly opposed the Tableeghi Jamaat, which he had so vehemently supported previously. He did not shudder to arm himself and attack the very Jamaat, which he had defended. He has committed an act, which smacks of hypocrisy. I have the right to insist that this is a peculiar specialty of the Ulema of Deoband and their group which is not found in any other sect. They are such professionals in defending and opposing one and the same principle simultaneously; that the layman is helpless to diagnose exactly what they stand for. Molwi Abdur Rahim Shah has confessed that he himself drew the attention of Molwi Yusuf Kandehlwi (son of Molwi Ilyas, founder of the Tableeghi Jamaat) to the internal corruption of the Jamaat. Each time his reminders were ignored. This report of Molwi Abdur Rahim Shah is not to be taken lightly. He has placed his fingers on the pulse of Fitna and has diagnosed a killer disease. All those people who were even remotely connected to Tableeghi Jamaat will confirm each and every word stated. This deadly disease emanating out of the Tableeghi Jamaat environment is so fatal, that if not checked and remedied in time, will ultimately lead to the destruction of the Ummah. This is a fact that after having links with Tableeghi Jamaat a man becomes so biased and confined in thoughts that he refuses to recognise the religious services of other Ulema and individuals attached to other organization. He remains aloof from all other groups and kicks aside every other servant of Islam and constructs his own isolated environment. Allow me to say that to mentally detach Muslims from each other and make them an exclusive slave of a particular sect is no service to Islam. On the contrary, it is a gigantic dis-service and is bound to spread mutual hatred. A point worthy of noting is that, if the Tableeghi Jamaat treat people of their own beliefs in this manner whereby they cannot even tolerate in their midst non-Tableeghi teachers and Imams, can you imagine the ill feelings that they are harbouring against Muslims in general and Sunni Muslims in particular? No doubt, the biggest gateway for dissension (fitna) amongst Muslims has been opened by the Tableeghi Jamaat who assures this to be a reward able act (Sawaab). Outwardly it seems to be a very good statement that everyone should be involved in Tableeg, but one should pause and reconsider the consequences, obviously this exercise is just as dangerous as placing on the driving seat a man totally ignorant of driving. Only he who has no feeling for Islam can ridicule it in this way. Just to swell the number of party members and increase the group is like sending inexperienced unarmed soldiers to war! Possibly some may say that the Tableeghi Jamaat can be admired, since they allow even the ignorant to take part in their activities. Don’t be misled. In fact the Holy Prophet (Sallalaahu Alayhi Wasallam) has interpreted this exercise as a sign of Qiyamaat. He says: "When the work of religion is undertaken by unqualified and irresponsible persons, then await the Day of Judgment." In another Hadith it is mentioned that the loss of knowledge and disregard for religion is a condition before Qiyamaat. Rasoolullah (Sallalaahu Alayhi Wasallam) says: "When there remains no bearers of knowledge, men will take Jahils (ignorant persons) as their leaders. Religious inquiries (fatwas) will be made and the answers will be furnished without any knowledge. The result is that they themselves are lost and will mislead and misinform others too." The Tableeghi Jamaat is ambitious to gain leadership amongst the groups of Jahils (ignorant). It is not surprising then, that the Prophecy of our Beloved Prophet (Sallalaahu Alayhi Wasallam) has been confirmed by their advent. The Tableeghi Jamaat is one of the early signs of the approaching Day of Qiyamaat. What words of wisdom Shah Sahib have uttered! If one ponders on his statement then surely one is bound to seek Allah’s protection from the deadly pangs of the Tableeghi Jamaat, and indeed will wish the same for the Ummah. Closely observe the behavior of this Jamaat and you will realise that behind the screen of Salaat, they are looting the Imaan (faith) of Muslims. We do concede that there may be an addition to the number of worshippers in the Mosque, which is outwardly attributed to this group, but have you ever stopped to consider the belief and Imaan of how many that is slaughtered outside the Mosque? Statistics are not yet available!! Until a person’s life is devoid of Salaat, he poses a threat to nobody but himself. But immediately on return from the Tableeghi Jamaat camp, two prostrations, and he becomes a danger to the safety of the Islamic society. Is this not true? This is the satanic arrogance that has destroyed thousands of years of worship. I don’t think that the creation of such a mentality is a service to Islam. What’s the use of that Tableeg which takes the good man by his hand and seats him next to Shaitaan (Devil). Hijacking the masses from the Ulema and enslaving them is another form of ego-worship. Those who call this Tableeg are trying to fool the entire world. We cannot imagine another religious tragedy than driving a wedge between the masses and the Ulema. Indeed this is the service of the Tableeghi Jamaat. Molwi Abdur Rahim Shah has elaborated in great detail the status of the Tableeghi Jamaat in accordance to Shariah. He states: "The Tableeghi Jamaat in their lj’tima claim that their present movement is in accordance with the Sunnah of the Prophet (Sallalaahu Alayhi Wasallam) and Sahaba (Companions) of the Prophet (Sallalaahu Alayhi Wasallam)." Ponder and ponder again if this is justified claim? In the books of Ahadith the merits of propagation is clearly mentioned. The merits thus mentioned, are they in respect of this movement? Let us examine the words of Abdur Rahim Shah: "I must state that many unseasoned individuals have written several books on the virtues of Tableeg. These books are read at educational gatherings and create a gross misunderstanding and confusion amongst the people who assume that the virtues of propagation thus mentioned in the Ahadith specifically refer to this movement. It is absolutely necessary that the writers should amply clarify the position that this is not so! This is a grave deception. If you regard this movement as virtuous and of a high status and a Sunnah of the Prophet (Sallalaahu Alayhi Wasallam), then we challenge you to furnish your evidence from the Holy Quran and Ahadith. If you are able to prove this as a Sunnah then explain the reason for the Ummah not implementing this Sunnah for the past 1400 years. Then do we classify the Ulema, Aulia Allah and the Muhaddiseen as anti-Sunnah?! Molwi Abdur Rahim Shah poses very basic questions that must be noted before proceeding any further. The Tableeghi Jamaat in one breath contradicts itself. They claim it is a Sunnah of the Prophets and Sahaba and in the same breath, that the founder of this movement is Molwi Ilyas. QUESTION 1: If in reality this is a Sunnah of the Prophet (Sallalaahu Alayhi Wasallam) as claimed, then it must be proven by authentic Islamic books that the Prophet (Sallalaahu Alayhi Wasallam) and the Sahaba also used to form Jamaats and do Ghast and Tableeg of Kalima and Namaaz amongst Muslims. QUESTION 2: If this is proved to be Sunnah of the Prophet (Sallalaahu Alayhi Wasallam) and Sahaba, then why was this Sunnah ignored for 1400 years and do we classify all the past Spiritual Illuminaries as anti-Sunnah? These questions posed by Shah Sahib are so important that it can never be ignored by the members of the Tableeghi Jamaat and I think it is their religious duty to clarify the position before continuing with their Tableeg work and deceiving the Muslim Community. In the previous pages you have read the name of Molwi Ihtashmul Hasan, the most respected confidant, Khalifa and Brother-in-Law of Molwi Ilyas (founder of Tableeghi iamaat). From childhood to old age the major portion of his life was spent in leading and guiding Tableeghi Jamaat. Establishing a relationship with the Saudi Wahabi government was his personal achievement. In spite of this he has stripped the Tableeghi Jamaat absolutely naked at the junction for all to openly see. 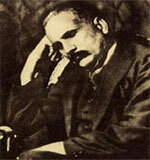 The name of his kitaab is "Zindagi Ki Sirat-e-Mustãkeem." Under the heading ‘Zaroori Intibah’ (important announcement) he writes: "The present form of Tableeg taking place from Markaz Nizamudeen (Headquarters of Tableeghi Jamaat), in my opinion and knowledge is neither in accordance with the Quran or Hadith. It is not in agreement with the teachings of Hazrat Mujaddid Alf-e-Saani and Hazrat Shah Wali-ul-lah Muhaddis Dehlawi and the rightly-guided Ulema. Those Ulema who are actively engaged in Tableeg, it is their first and foremost duty to conform it to the teachings of Quran, Hadith and the past leaders and Ulema. It is beyond my comprehension that a service, which in the lifetime of Moulana Ilyas was confined to Bidat-ê-Hasana (good innovation) in spite of the strict implementation of Osool’s (principles), can now be regarded as the most important service to Islam, even if done absolutely haphazardly. Now in its degenerated state it cannot even be called a good innovation (Bidat-ê-Hasana). I want to expose this and end my responsibilities." a) This is the Sunnah of Prophets. b) This is the Sunnah of the Sahaba. c) This is the highest form of Worship. d) This is the most important task of Islam and so on. Who is responsible for this global misleading? Under present circumstances it is incumbent upon them to recall the entire movement and reconsider the position anew before repentance can be implemented. And the greatest crime happened to be that whilst Molwi Ilyas was alive, the status of this Jamaat was confined to be a Bidat-é-Hasana (good innovation) and not a Sunnah! Why were the people misled that this is an example of the Prophets and Sahaba? I. Molwi Ilyas 2. Molwi Mohammad Yusuf 3. Molwi Ihtashamul Hasan 4. Molwi Manzoor Noomaani 5 Molwi Abdul Hasan Au Nadwi6. Molwi Imraan 7. Molwi Raghib etc. All of them were aware of the realities of this Jamaat. But they played around with the Imaan of simple gullible Muslims and ridiculed Islam. Now that misleading beliefs have reached the hearts and souls, we suddenly hear that the Tableeghi Movement is no more a Sunnah but a Bidat (innovation). Indeed, not a Bidat-é-Hasana (good innovation) but a Bidat-e-Dalalah (evil innovation) the perpetrator of which is destined for Hell according to Hadith. It should not be said that this is the personal opinion of Molwi Ihtashaamul Hasan. It should not be forgotten that Molwi Ihtashaamul Hasan is a foundation member who is obviously aware of internal secrets, thus his utterances can never be dubious and his allegiance to the organisation beyond doubt. It is quite possible that this confession could be made towards the end of his life when death was starring at him in the eye. It is remarkable that these accusations by this Tableeghi Molwi went unchanged and unanswered. Some comments were made in a book called "Chashmaé-Aaftaab" (Author - Molwi Qaamrudin Mazahiri): "Moulana Ihtashaamul Hasan Kandhalwi is a foundation member of this movement. Recently, he made a severe attack on Tableeghi Jamaat and has labeled it as a group that mislead people. It is surprising that being the initial member and advisor up to now, his views being implemented for so long, principles were formulated by him totally, what evil does he now see, that has generated his opposition?" (Chashmaé-Aaftaab, pp/3, printed in Kanpur). Elsewhere he writes: "You regard this Tableeg contrary to Quran and Hadith and a cause of destruction of the Ummah." The question is not "How long it took to degenerate from Bidaté Hasana to Bidatê Sayyia?" (from good to evil Bidah). The real question is "What was the status of Tableeghi Jamaat in the life time of Moulana Ilyas? Was it a Bidah or Sunnah?" After reading the Deobandi/Tableeghi literature in detail, one is amused to see them using dreams to justify their actions, and these dreams are supposed to have been seen by people of the Jamaat, but it cannot be verified at all. Each time the Holy Prophet (Sallalaahu Alayhi Wasallam) is directly involved, in encouraging and showing happiness at the work done by the Jamaat! In fact Tableeghi Jamaat was created by Moulana Ilyas after he is said to have had a dream in which, directions were given to him! I am surprised to see that Tableeg, which is portrayed as the most important Islamic activity, is being justified and ‘proved’ via a dream! No Quranic verse or a single Hadith was presented. To crown it all, those who have had these dreams are not known, and are floating in oblivion! I. Tableeghi Jamaat, in its present form is an evil Bidat, because of its Islamic Defects and inherent fitna. When the members of Tableeghi Jamaat go out on their hunting rounds they display an embarrassing degree of humility and simplicity. But alas, not many victims are aware of the hidden Shaitaan behind that facial make up! Imagine! This is the character of the leader of this Jamaat who regard themselves as the Angels of this World! Despite them being aware of the many religious shortcomings and falsehood of the Tableeghi Jamaat, they diplomatically present certain convincing excuses. Humbly they say: "We admit that the Tableeghi Jamaat does have their weaknesses but they render some service to religion, you find shortcomings everywhere therefore, give them credit for their ‘good work’." We have been insisting for so long that Tableeghi Jamaat is not a reforming movement, it is a new way of life, in conflict with Islam. This was ignored and deliberately misinterpreted only because it was issued by the Muslims adhering to the main stream, Ahlé Sunnat Wa-Jamaat, to which belong all the Sahaba and Aulia. Truth can never be suppressed for too long. Now even Molwi Abdur Rahim Shah has also confessed that Tableeghi Jamaat is no more a ‘reforming organ but it is fast degenerating to be a new Deen.’ No wonder the Tableeghi Jamaat regards their Muslim oppositions as Kaafirs and Murtads (one who leaves Islam and returns to Kufr) because to believe in Tableeghi Markaz is their 6th pillar of Islam. In conclusion, we desire to make it quite clear to our broad-minded and enlightened readers that the quotations revealing the religious misfortunes of the Tableeghi Jamaat are not those of the Ahle Sunnat Wa Jamaat but from the Ulema of Deoband and the followers of the Tableeghi Jamaat. It should, therefore, be accepted without doubt that the accusations and allegations against them are true. The clear evidences and exposures of the Tableeghi Jamaat by the Ulema and the so-called devoted servants of Tableeghi Jamaat makes it impossible for a true Muslim to tolerate the actions of Tableeghi Jamaat as a Movement worthy of recognition. Therefore, it is your religious duty, as brethren of the True Faith to stay away and remain aloof from the mischief of Tableeghi Jamaat and strongly protect your Imaan (faith) and beliefs. jamsheed basha is true man, I am agree in all point of jamsheed basha, and thanks full to Sultan shahin editor of Newageislam both are social reformer, A time sultan shahin says quran is obselete. It means that he was not follower of any firqa but true is true. so he published this book. jamsheed bash sahab Arshadul qadri have written many book like this like, zalzala is most effective and international famous book by qadri sahab. And again he wrote a book “zerozabar”, this book proves Maulana work is really intellect. After that, The book Zalzala, Zer-o-Zabar, Tableeghi Jama'at and Jamat-e-Islami very great critical book by Ahlesunnat maulana ArshadulQadri. Jamat-E-Ahle Sunnat are poor, so no one finance it so it is too difficult to do all articles translated to local languages and distributed in all mosques and madrasas.